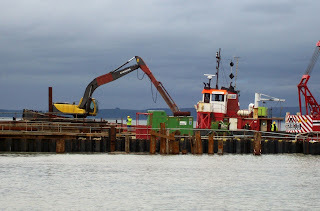 The first vessel "called" at the new Largs Pier 29 April 2009. 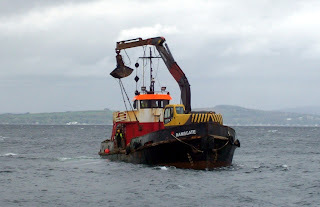 Wyre Marine's Ramsgate is involved in the latter stages of reconstruction. "Deep Six" to the south of the Pier?